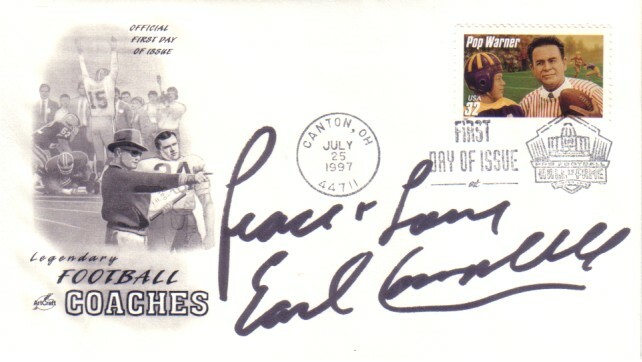 1997 Pop Warner 32 cent stamp First Day Cover cachet envelope autographed in thick black marker by legendary Texas Longhorns and Houston Oilers running back Earl Campbell, and he added Peace & Love to his signature. MINT. ONLY ONE AVAILABLE FOR SALE. With certificate of authenticity from AutographsForSale.com.